From the very beginning, OLF has pursued a struggle based on Oromo nationalism and selling the dream of getting rid of national operation (political alienation including the creation of a separate country), achieving democracy, rule of law, equality, respect for the Oromos of Ethiopia… etc. etc. One of its biggest selling point was the lack of fair representation of the Oromos in the political hierarchy of Ethiopia compared to the overall percentage of Oromos in the total population. This has helped OLF to garner significant support from time to time..
• The minority domineering group within the ruling EPRDF, TPLF, is dislodged from most of its powers. • Dr Abiy Ahmed, leader of the Oromo political party (OPDO), has become the head of EPRDF and the PM of Ethiopia. Obo Lemma Megerssa, (President of Oromiya), is now among the most popular politicians in the entire country. • Increasing number of Oromos hold key positions within the federal government including Foreign Affairs, Attorney General. For the last few months, the President as well as the Defence Minister were from Oromia. • A number of key positions within the security apparatus are now controlled by Oromos. The Mayor of the capital city, Addis Ababa, is an Oromo. • Dr Abiy has now released political prisoners including supporters and followers of OLF . • Abiy and his government have lifted the ban on political parties and the terrorist label on all oppositions. The first political group to benefit from this openness was the Oromo based ODF. Another one is OLF who was labelled as terrorist by the parliament few years ago. • Freedom of expression is reinstated, chief among the first to benefit from this openness was the Oromo Media Network (OMN) that opened offices inside the country led by the activist Jewar Mohamed. • All exiled Oromo political groups (about five) have now returned to Ethiopia and begun peaceful political activities. • In fact, in an unprecedented move, one of the leaders of the former rebel group, General Kemal Gelechu, has now been appointed as the head of security affairs of the Oromia regional government. • The state of emergency that was imposed in Oromia and elsewhere is lifted. • Dr. Abiy has started to take unprecedented measure such as closing a gold mine in Oromia that apparently were harmful to the health of residents. • Dr. Abiy has put under control the menacing displacement or Oromos by the Somali regional police etc. The key perpetrator, President of the Somali region is now in prison. PM Abiy was a senior government official and an officer in the despised EPRDF army. He has garnered a significant support by moving away from his old political confines and by adopting new political vision and approach. He and his team have not only embraced but championed change. He has openly stated that he is separating from the past and charting a new future for the entire country based on equality, inclusiveness, reconciliation, building national consensus (as opposed to dividing) and freedom for all. Such vision as well as action has made Dr Abiy an embodiment of the change that most Ethiopians are dreaming of. So many Ethiopians have pinned their hopes for a more inclusive, and responsive government on the young leadership of Dr Abiy and Team Lemma. Dr Abiy and Team Lemma acknowledged the trauma suffered by the people but no more utilize them to foster hate and discord. They are now using the history of shared traumas to bring people closer-and teach them not to seek vengeance but “to do unto others what you would have them do unto you”. All of this will create instability in Oromia, it discourages investment, tourism and development. It also creates heightened concern about the true agenda of the organization. This is not at all in the best interest of the Oromos and the rest of Ethiopians. OLF has a lot to offer to all Ethiopians and learn from other Ethiopians too. 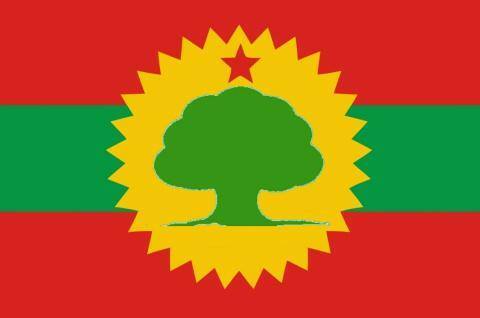 OLF is an ethno specific (Oromo based) party. However, it is part of Ethiopia’s history. Ethiopia needs to go through a process of building national consensus, reconciliation and charting a collective path forward within a united Ethiopia. This could be enriched by the full participation of organizations such as OLF. The personal as well as the collective experience of each member and leadership of OLF, for that matter other organizations too, is immense. Their experience could help build a solid foundation for our collective wellbeing and collective destination. All of Ethiopia could be enriched by the unreserved positive participation and contribution of OLF.